BELIZE CITY, Wed. Mar. 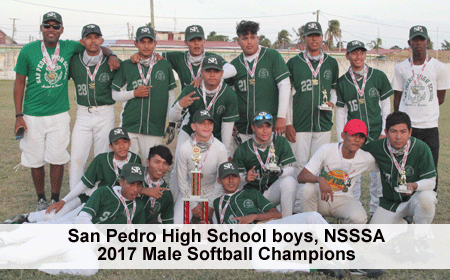 22, 2017–Edward P. Yorke High School girls & San Pedro High School boys won the National Secondary Schools Sports Association (NSSSA) softball championships, which were held in Belize City at Rogers Stadium on Friday and Saturday, March 17-18. On Friday, the 4 country-zone champions, in both female and male categories, clashed in the first-round knockout format. On Saturday, the losers played for third place, and then Friday’s winners clashed for the female (F) and male (M) championships. North Zone – (F) Belize Rural High; (M) San Pedro High. Central Zone – (F) E.P. Yorke High; (M) E.P. Yorke High. West Zone – (F) Belmopan Comprehensive; (M) Sacred Heart College. South Zone – (F) Independence High; (M) Independence High. (F) Bmp Comprehensive, 10-9, over Belize Rural High. 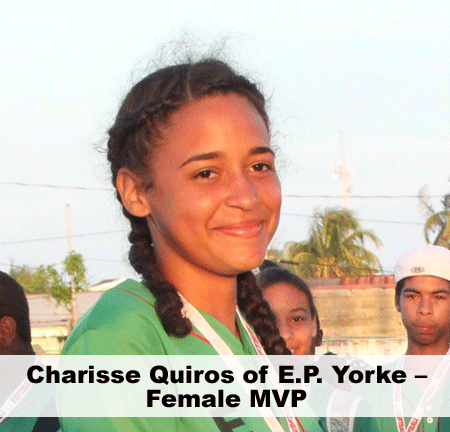 Winning pitcher (WP) – Renisha Richards; losing pitcher (LP) – Keena Pott. (M) San Pedro High, 13-3, over Sacred Heart College by Mercy Rule in 3 innings. WP – Lester Gamez; LP – Kaver Smith. (F) E.P. 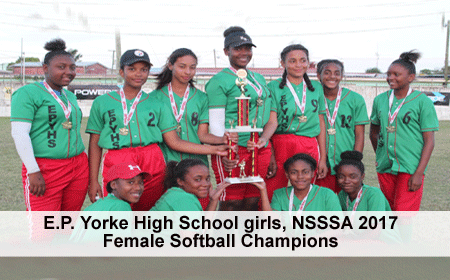 Yorke High, 17-16, over Independence High. WP – Jasany Westby (relieved by Tahni Garbutt); LP – Shelby Linarez. (M) E.P. Yorke High, 17-7, over Independence High, by Mercy Rule in 3 innings. WP – Kristan Tillett; LP – Jeffton Apolonio. (Female 3rd place game) Independence High, 12-4, over Belize Rural High. WP – Shelby Linarez; LP – Keena Pott. (Male 3rd place game) Independence High, 10-9, over Sacred Heart College. WP – Vince Garbutt; LP – Kaver Smith. (Female championship game) E.P. Yorke High, 8-6, over Belmopan Comprehensive. WP – Jasany Westby; LP – Renisha Richards. 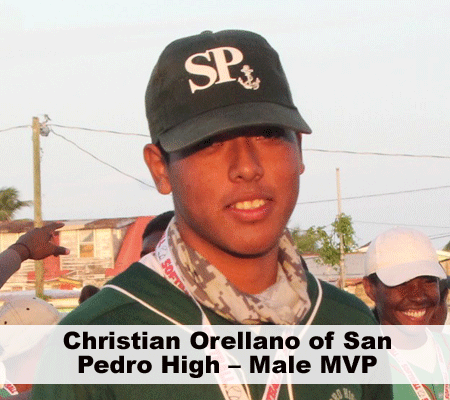 (Male championship game) San Pedro High, 9-2, over E.P. Yorke High. WP – Christian Orellano; LP – Kristan Tillett. ALL PICTURES COURTESY WILLLIAM YSAGUIRRE.